The Howard Hughes Medical Institute (HHMI) is announcing a five-year, $2.3 million grant to support educational activities and infrastructure development at the E.O. Wilson Biodiversity Laboratory in Gorongosa National Park, Mozambique. The program will be carried out through the Gorongosa Restoration Project (GRP), a U.S. philanthropy that has led extraordinary efforts to restore Gorongosa National Park over the last ten years. The GRP has been on the frontlines in combatting the loss of biodiversity—one of most important biological and environmental issues in the world today. Gorongosa National Park and its buffer zone cover about 10,000 square kilometers in the Great African Rift Valley in central Mozambique. Although Mozambique achieved independence from Portugal in 1975, the ensuing civil war took a toll on the country and Gorongosa. In 2008, the government of Mozambique signed a 20-year public-private partnership with the GRP, a nonprofit organization formed by the Carr Foundation. 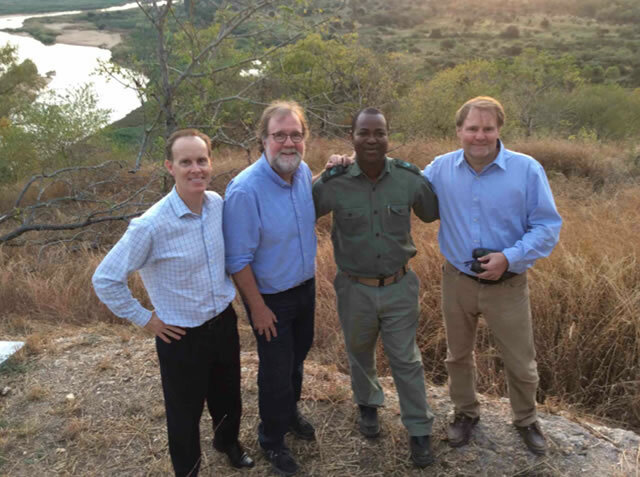 “Young Mozambicans are eager to study conservation sciences and this support from HHMI will make it possible to train a generation of Mozambicans in a variety of disciplines, who will then lead Gorongosa and other national parks and reserves throughout the country,” said Greg Carr, President of the GRP. During the last ten years, the GRP has assisted local farmers, built health clinics and schools, rebuilt Park infrastructure, hired and trained rangers, reintroduced species to the ecosystem and reestablished a tourism industry in Gorongosa. In 2014, the GRP celebrated another milestone with the inauguration of the E.O. Wilson Biodiversity Laboratory, which is poised to greatly increase both research in the Park and science education for Mozambican students. HHMI funding will be used to support personnel, new educational programs, and classroom infrastructure at the E.O. Wilson Biodiversity Laboratory in the Park. Funding will begin in July 2015.